Well, I guess we all knew that something like this was coming sooner or later. 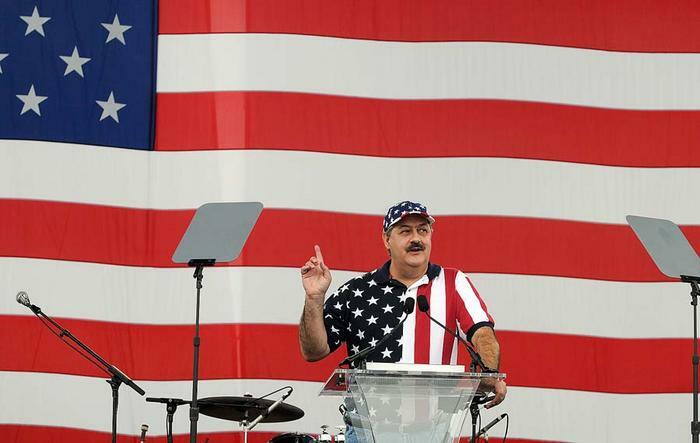 Don Blankenship has seldom been one to keep quiet; well, except for that time he refused to answer questions from investigators after the Upper Big Branch Mine Disaster … or that time he declined to take the stand in his own defense at his federal court criminal trial. This booklet is the right thing to do. It is the right thing to do because all Americans deserve a fair trial, and not one like I had. It is right to do this booklet because coal miner safety is more import-ant than political correctness. Lies about accidents and improper prosecutions are serious matters, as they prevent worker safety improvements and deprive people of their basic human rights. We’ve seen this movie — literally — before. For example, the booklet runs through Blankenship’s theory that the Upper Big Branch disaster was caused not by poor safety practices at Massey under his watch, but by an uncontrollable flood of natural gas into the underground mine. Investigations by the U.S. Mine Safety and Health Administration, the Governors Independent Investigation Panel (the McAteer team), the state Office of Miners Health, Safety and Training, and the United Mine Workers of America all reached conclusions contrary to Blankenship’s theory. The other thing that Blankenship goes off about is his belief that the media has ignored (covered up, I think is his term) allegations about MSHA’s role in what happened at UBB. It’s hard to buy into his part of his theory, given that his major concerns about MSHA — inaction about potential methane leaks from the look of UBB, perhaps poorly planned demands for changes in the mine’s ventilation system, and the potential that not all records about MSHA’s involvement at UBB have been made public — were all covered fairly extensively by Blankenship’s favorite news outlet. Not for nothing, but we’ve also been among the only outlets that made public efforts by MSHA officials to keep some questions about the agency’s actions out of bounds during the UBB investigation, and explained how the MSHA report itself circled back to the issue of those methane leaks as being a key part of what led to those 29 deaths in April 2010. I’m pretty sure that MSHA chief Joe Main would find the notion that the media has somehow gone easy on him and his agency for the missteps prior to the UBB explosion pretty laughable. Blankenship also likes to make much of Sen. Joe Manchin’s response to Blankenship’s UBB video, trying to convince us somehow that then-U.S. Attorney Booth Goodwin and Assistant U.S. Attorney Steve Ruby only moved forward with an indictment of Blankenship because Manchin told them to after the video. What really happened is that the investigation was slow and careful, and moved up the corporate ladder toward Blankenship the way all such real investigations of this kind should and do. It’s hard to know what else to say about Blankenship and his theories at this point. He’ll get another shot at a day in court come Oct. 26, when the 4th U.S. Circuit Court of Appeals hears oral argument in his challenge to his conviction. This man (?) is as bad, maybe worse than the robber barons of the late 19th and early 20th centuries. Trading the workers blood for profits is business as usual for rascals such as he. The 1 year sentence is almost laughable, but I wasn’t in court to hear evidence.